Small businesses can raise money with crowdfunding in exchange for rewards, future repayment, or equity in the company. Startups and more established companies can raise funds online while getting new customers. The best crowdfunding sites offer low fees, a large audience, and allow a variety of campaigns. There are different types of crowdfunding, identified by what you are giving backers for their support. These include equity, debt, rewards, and donation crowdfunding. Each website will typically specialize in one type of crowdfunding. However, they may offer multiple ways for you to reward your supporters. The best crowdfunding sites have a large audience of potential investors providing both exposure and a higher potential for funding. They also charge competitive rates to startup business loans and allow for a large variety of potential projects to be showcased. Finally, they should have a track record for helping projects get the funding they need. Those are the factors we evaluated to ensure the crowdfunding sites on our list are a good fit for small business owners. Here are the 35 best crowdfunding sites for small businesses. Kickstarter is the biggest name in rewards crowdfunding, and perhaps the name most often associated with crowdfunding in general, with more than 158,000 successful campaigns and more than $4 billion pledged. This success has resulted in a huge number of big projects being launched and funded, as well as a big audience that can be both a source of funding and exposure. Kickstarter is best for businesses focused on making products for consumers like games, art, tech, music, and food that can be shipped easily to campaign backers. Breaking through the competition can be difficult, but a good approach is to raise smaller funding amounts. Of the successful campaigns, 82% of them raised less than $20,000. Kickstarter charges a fee of 5% for successfully funded campaigns, and you will also be responsible for a third-party payment processing fee of 3% to 5%. These fees are competitive with other rewards crowdfunding sites and, if your funding campaign does not reach the target in the allotted time, you will not be assessed any fees or receive any payments. GoFundMe is a donation crowdfunding site where people have raised more than $5 billion. This means there is no equity to give up, no debt to repay, and no rewards to ship. It’s easy to see the appeal already, but to make it even better, GoFundMe doesn’t charge any fees. You’ll only be responsible for the transaction fees when you receive the funds, but getting your campaign noticed is difficult. GoFundMe is best for businesses that can gather supporters to fund their campaign, even though there will be no repayment. This isn’t a great option for startups. However, businesses struggling to keep the lights on, that are important to their communities often raise funds successfully. With GoFundMe you don’t have to pay any fees for the funds you raise, and the money doesn’t have to be paid back. You will still be responsible for the fees charged by its payment processor of 2.9% plus 30 cents per transaction. This makes GoFundMe the only donation crowdfunding site on our list. LendingClub has raised more than $20 billion for applicants and offers small business loans up to $300,000 with terms up to five years through debt crowdfunding. One of the great things about its platform is how quickly you can get access to funds like one week, and the relatively low starting rates of just 5.99% per year. If you need capital quick and can qualify for LendingClub, this is a fantastic debt crowdfunding option. To qualify, you’ll need to be in business for at least 12 months, have good personal credit of at least 700 or more and at least $50,000 in annual sales. However, these qualifications are not difficult to meet for small startups, and certainly for more established businesses. Interest rates for LendingClub loans start at 5.99% for the most qualified borrowers with an additional origination fee of 1.99% to 8.99%. The APR for its loans ranges from 9.77% to 35.71%, which is comparable to other debt crowdfunding sites but can be expensive compared to other financing options like Small Business Administration (SBA) Startup Loans. Indiegogo is one of the top rewards crowdfunding sites available to startups and small businesses with more than $1 billion raised. Companies ranging from the idea stage to the product stage regularly raise money and get loyal customers along the way. However, getting noticed can be difficult due to the number of active campaigns. Indiegogo is best for businesses that are making consumer products that can be shipped as rewards. Besides getting some much-needed capital, you will also be able to build a community of users that love your product and are invested in seeing you and your company succeed. Companies at any stage are welcome. However, backers often like to see at least working prototypes available. Indiegogo charges a 5% fee on all funded campaigns, and you will be responsible for a transaction fee of 2.9% plus 30 cents per transaction. This is comparable to other rewards crowdfunding sites, with the added benefit of a very large network of potential backers. Prosper offers personal loans that can be used to fund your business and have originated more than $14 billion since its inception. You can get a loan up to $40,000 crowdfunded from investors after completing a short application. However, you will need to have good credit with a score of 640 or higher and enough personal income to support loan repayment. Prosper is best for business owners that want to take a personal loan that can be used for business purposes. This is a great option if you’re a startup or your business isn’t generating enough revenue to qualify for other financing options but can put your personal assets at risk. Prosper charges interest rates between 7% to 36% on its loans and an origination fee of 0.5% to 4.95%. This brings the total APR up to 7.5% to 41%, which is competitive with other debt crowdfunding options but can put a strain on your cash flow unlike a rollover for business startups (ROBS). A ROBS allows you to use your retirement funds for your business but should be set up by an experienced ROBS provider. Patreon brings a unique take on rewards crowdfunding. Rather than promising products sometime in the future to backers, businesses can get paid as they deliver content. For this reason, the majority of businesses on Patreon produce some form of entertainment and have raised more than $350 million. Payment is received for every episode, photo, or time period that a creator continues to make content. Patreon is best for creative businesses like podcasts, artists, and other entertainment where content is produced on a regular basis. This is especially true if the content you produce is typically free, and you want to let people support it or offer additional content behind a paywall. Patreon charges a 5% fee for any payments made to creators through its platform, and you’ll have to pay a third-party transfer fee, typically around 3% when you withdraw funds. This is lower overall than some other rewards crowdfunding sites. Funding Circle offers small businesses debt crowdfunding up to $500,000 with terms of up to five years that has successfully raised more than $8.6 billion. Its rates start at just 4.99%. However, this doesn’t include the fee it charges once the loan is funded of up to 8%. 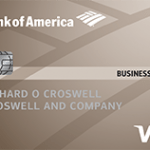 To qualify you will need to have good credit and have recent business growth with good annual revenue. FundingCircle is one of the best peer-to-peer business loans for small businesses that need a quick loan, without the burden of an extensive crowdfunding campaign. Applying only takes 10 minutes. However, you will need at least a 620 credit score to qualify, with the average score of 700 for approved borrowers. Additionally, you’ll need to be in business at least two years with $120,000 or more in annual revenue. Funding Circle charges interest rates between 4.99% and 27.79% on its loans in addition to an origination fee of 3.49% to 7.99%. This brings its total APR, to between 8.5% and 36%, which is comparable to other debt crowdfunding sites and is competitive with other online working capital loans. Kiva offers debt crowdfunding to any small business in America. The twist is there is no interest and loans typically don’t exceed $10,000. You’ll have to plan a campaign and work with a Kiva representative to qualify for funding, but it doesn’t check your credit. Instead, it relies on support from your peers to determine your creditworthiness. Since its founding, more than $1.25 billion in loans have been made worldwide. Kiva is best for businesses that need an interest free microloan up to $10,000. You don’t need to have a credit score at all to access Kiva, and its representatives will work with you on setting up a campaign and crafting a message for its users. Kiva doesn’t charge businesses any interest on its microloans, and there are no fees to pay. This makes Kiva, by far the lowest cost debt crowdfunding site available to small businesses. Crowdfunder offers a unique low-cost equity crowdfunding solution for any company and has raised more than $150 million for startups. With Crowdfunder, you pay a monthly subscription depending on the investors that you want access to, up to $499 per month. It also offers a powerful CRM tool that helps you track the campaign, reach investors, and get funded. Crowdfunder is best for businesses that are preparing to launch a crowdfunding campaign or would like the option to fundraise from private, invite-only sources before opening up the campaign. By inviting your own investors, your business goals will be partially funded by the time they reach outside investors increasing your chances of getting funded. Crowdfunder has three membership tiers. Storing documents is free, private crowdfunding costs $299 per month, and public crowdfunding is $499 per month. This is more expensive than other subscription equity crowdfunding sites but will cost less overall compared to being charged a percentage of raised funds. RealtyShares is the destination for commercial real estate debt and equity crowdfunding. It offers loans and equity on projects up to $20 million with up to 85% leverage and terms up to seven years. Funding takes just 35 days to acquire, and rates start at just 10%. Since founding, RealtyShares has helped raise more than $870 million across more than 1,160 projects. If you’re a real estate investor, developer, or otherwise involved in the commercial property market, you can leverage RealtyShares to take advantage of great market opportunities. By bringing your project to the crowd, you can share the risk, and better diversify your portfolio while enjoying a great return. Rates for debt and equity crowdfunding start at 10% with Realty Shares, which includes transaction fees, but can be much higher for debt. Its starting rates are comparable to other real estate debt and equity crowdfunding sites. To determine your rate, you’ll need to submit your project and go through the review process. WeFunder is one of the largest equity crowdfunding sites covering every business from technology to retail and entertainment, with $83 million invested since 2013. However, it may be difficult to raise funding with a brand new company, as the most successful projects have demonstrated growth or major accomplishments or government contracts. WeFunder is best for startups ranging from breweries and Apple Watch apps, to combustion engine innovations with an emphasis on scalability and demonstrated growth. Most companies on the platform also bring in roughly 50% of their own investors to the campaigns, which can be difficult if you have a smaller business. WeFunder charges a 7.5% fee based on the amount you raise with a successful campaign, which includes your transaction fee. This is competitive with other equity crowdfunding sites. CircleUp offers debt and equity crowdfunding to small businesses, specifically in the consumer packaged goods (CPG) industry with more than $390 million raised to date. 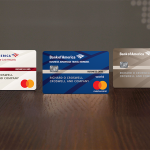 It offers lines of credit up to $3 million, which grow as your business expands and takes on more customers. Its equity crowdfunding has a similar industry target of consumer-facing brands. CircleUp is best for CPG focused businesses with annual revenues in excess of $1 million needing equity crowdfunding. However, if your annual revenues are lower but still more than $250,000 you can qualify for the crowdfunded line of credit up to $3 million. CircleUp offers a line of credit up to $3 million with APRs ranging from 14% to 25% including all fees. This is lower than most other online lending options, and a competitive rate compared to other debt crowdfunding sites. The fees you pay for equity crowdfunding will depend on your business and will be determined by CircleUp when you apply. SeedInvest is the leading equity crowdfunding site for startups. It boasts more than 250,000 investors and businesses that fundraise with SeedInvest raise an average of $616,000 or more than $100 million in total. However, there is a difficult vetting process to get in, with only the top 1% of businesses making it. SeedInvest is best for seasoned entrepreneurs that are starting their second or third company and can leverage the recognition of their founding team for fundraising. However, you can apply at any stage, and there are projects ranging across numerous industries including real estate and e-commerce. SeedInvest charges a 7.5% placement fee and 5.0% equity fee based on what you raise. If the campaign is unsuccessful, there are no fees. This is one of the most expensive equity crowdfunding sites on our list, largely due to its availability to early stage very high-risk startups. MicroVentures is an equity crowdfunding site for early and late stage startup funding, with more than $100 million raised. Most businesses can qualify. However, only accredited investors can invest, leaving fewer investors in the pool for your company. Projects take four to eight weeks to get funding and are charged a 5% fee. MicroVentures is best for internet companies including gaming, mobile, social, and software that need at least $150,000 in funding. Typically, businesses that are already generating sales and growing quickly raise funds successfully on the platform. Most of the projects that met its funding goals were consumer-facing businesses, rather than business-to-business (B2B) or business-to-government (B2G). MicroVentures charges investors 5% and successful projects 5% to make up its total fee. This is in addition to the equity you will be providing, which makes it competitive with other equity crowdfunding sites on our list. RealtyMogul addresses real estate investors and developers with debt and equity crowdfunding products. Rates typically run from 7% to 13% or higher with terms up to 10 years and 45 days or more to funding. It’s unique because it offers an equity option that allows investors to be part of a joint venture and has helped finance more than $2 billion in property value. RealtyMogul is best for investors and real estate developers needing $1 million to $7 million in financing for large projects, with up to 90% leverage. Additionally, projects can be long-term, with a maximum repayment option of 10 years, one of the longest in real estate crowdfunding. RealtyMogul offers various debt and equity solutions at rates ranging from 7% to 13% or more and terms up to 10 years, which is comparable to other real estate crowdfunding options that are available. Fundable is the crowdfunding sites dedicated to getting funding through rewards and equity for small businesses with more than $466 million raised. There are no fees for a successful equity round, and only transaction fees for rewards fundraising. However, posting a campaign is not free and requires a monthly subscription that costs $179 per month. Fundable is best for tech startups ranging from drones to medical equipment and diagnostics software. Completed projects tend to have high dollar amounts, and are typically companies that are ready to scale, or deploy its products to a larger audience from a variety of industries. All fundraising with Fundable costs a monthly subscription fee of $175. Additionally, you will have to pay a transaction fee of 3.5% plus 0.3% for reward fundraising, making Fundable one of the lowest cost equity and rewards crowdfunding sites available to businesses. Patch of Land offers debt crowdfunding for real estate developers that are working on fix-and-flip projects, rentals, and commercial development. Loans start at $50,000 and go up to $3 million with rates starting at 8% for one or two years, with more than $750 million raised. Unfortunately, it’s unclear what portion of the interest paid is retained by Patch of Land or gets passed on to investors. Patch of Land is best for real estate developers and small businesses interested in refinancing an existing real estate investment with short-term funding. You can apply in just a few minutes and get funded with Patch of Land in as little as seven days, with similar paperwork requirements as a commercial mortgage. Interest rates for loans from Patch of Land start at 8%, with fees for fundraising being deducted when payments are made. This means that you don’t pay anything besides the interest payments, making this a very well-priced debt crowdfunding option. Netcapital helps entrepreneurs and small businesses raise money by selling equity through crowdfunding. It works with individual entrepreneurs to build great campaigns, attract a community of supporters, and provide standardized legal paperwork for everything. It only charges a fee if you succeed at hitting your goal and at slightly less than 5%, it’s one of the lowest we’ve seen. However, it’s unclear how much has been raised on the Netcapital by companies. Netcapital is best for established businesses that are ready to sell equity and raise funding to start scaling. The best part of Netcapital is that you can keep fundraising from angels and venture capitalists while you work with them, improving your chances of getting noticed and getting funded. Netcapital charges a success fee of 4.9% of the amount that you raise, which includes transaction fees. This is one of the lowest overall equity crowdfunding fees available for small businesses. Crowd Supply helps small businesses that manufacture hardware get rewards crowdfunding for its projects, with 70% of projects funded. It stands out because it allows you to raise funds for new and completed projects. Additionally, it has shipped 100% of backed projects, and even supply the shipping and warehouse space needed to support the logistics of backed companies, but do not share information on how much has been raised on the site. Crowd Supply is best for hardware manufacturers with a new product or innovation ranging from coffee presses to laptops or just individual components. Backers are offered rewards, and you’ll get assistance with logistics, project execution, a supportive community and, ultimately, delivering on your project. Crowd Supply charges a 5% fee based on the funds you raise. It also offers a premium tier with added service to prepare and market your campaign for 6% to 15%. Although the base fundraising option is in line with other rewards crowdfunding sites, its premium services can get very expensive for larger campaigns. StreetShares offers crowdfunded term loans up to $250,000 to small businesses at rates starting at just 9%, with a focus on the veteran community and more than $100 million raised. You can expect a similar application process as other online lenders, requiring information about your business fundamentals and personal credit score. To qualify for up to 36 months, you will need to be in business for at least one year and have annual revenues of more than $75,000. StreetShares is best for startups with some revenue needing to raise debt without the complexity of running an extensive crowdfunding campaign. You will need to have at least a credit score of 600 or higher. However, it offers lines of credit, invoice factoring, and term loans to businesses all funded by individual investors. StreetShares charges an origination fee of 3.95% to 4.95% on its loans and interest rates from 8% to 40% on all financing products. This is similar to other debt crowdfunding options on our list, with the added benefit of possible rate reductions for the veteran community and no campaign requirement. NextSeed offers debt crowdfunding for operating businesses and startups, with $11 million in funding raised. Terms are available for up to 48 months and starting rates range from 10% – 18% APR, on term loans and revenue sharing loans. However, to qualify you will need to provide collateral, have 15% or higher margins, and a credit score of 620 or higher. NextSeed is best for established businesses with steady cash flow that need to borrow funds, to grow its business. It offers both a term loan and revenue sharing loan, depending on your qualifications, the term loans work similar to traditional financing, whereas with revenue share loans you will owe a percentage of your revenue up to a specified multiple. NextSeed charges 10% to 18% starting interest rates for its loans, which is relatively low compared to other debt crowdfunding sites. However, its revenue share loans have multiples ranging from 1.2 times to 2.0 times, meaning that for every $100 borrowed, $120 to $200 will need to be repaid as a percentage of revenue. Fees are charged to investors rather than startups. FundersClub is an exclusive equity crowdfunding venture capital firm with more than $115 million raised. Although accredited investors can easily join, qualifying as a startup is much more difficult, and can take up to six months. However, big names it has invested in include InstaCart, so strong companies with good growth and past fundraising rounds should definitely consider this option. FundersClub is best for early-stage companies that are either in tech or have services that are tech-enabled. Only 2% of applicants are accepted for fundraising, and to qualify you will need to have a well-rounded team, demonstrated traction with customers and be in a big or quickly growing market with potential for scaling. FundersClub charges a 10% administrative fee based on the amount that you fundraise, in addition to the equity that you will need to give up. Although this is higher than other equity crowdfunding sites, accepted companies have very high success rates and raise large rounds of funding with FundersClub. Kickfurther offers growing brands an opportunity to finance their inventory purchases through crowdfunding, with more than $30 million raised since inception. It operates on a profit-sharing model. However, investors hold a significant portion of the risk because, with consignment, it doesn’t get paid until the inventory sells. Kickfurther is best for brands with high growth that need to finance their inventory purchase in as little as one week, in exchange for some of the profits. On Kickfurther, individuals buy the inventory you need on your behalf and get repaid as it sells. All businesses and brands are welcome, although typically companies without established sales have difficulty getting funding. Kickfurther charges 1.5% from funded campaigns upfront, and recent successful projects were offering between 5% and 15% of profits to investors from their inventory sales. This fee is significantly lower than other debt crowdfunding options, and by sharing the inventory risk with investors, your overall costs will be lower than most financing options. EquityNet offers a tool and resource-rich platform for equity crowdfunding. It stands out for offering what is essentially a free platform with some of the more powerful tools for entrepreneurs locked behind a monthly subscription. This means that you can skip the typical equity crowdfunding fees required by other providers. However, there is no information on how much has been raised on the site since its founding. EquityNet is best for later stage companies that need to scale with a large equity investment, backed by powerful CRM tools. You would use EquityNet at around the same time you would get venture capital funding, so typically when you have established revenue and have demonstrated that the business works well and there is strong demand. EquityNet doesn’t charge a fee when you raise funds and offers an optional subscription for access to its more powerful tools. The subscription costs $199 per month and allows you to message investors, receive business plan analysis, see expanded investor profiles and more. Republic is an equity crowdfunding site for startups and was founded by the founders of AngelList, a popular startup recruiting and investment site. Investors can contribute as little as $50 and own a stake in a company they believe in, although its audience is small, it is growing very quickly. Since its founding, companies have raised more than $10 million while introducing their products to the world. Republic is best for businesses that have already completed an initial rewards crowdfunding campaign elsewhere and are interested in raising additional funds in exchange for equity. Although new companies use Republic, most entrepreneurs use Republic as a way to double down and scale their success. Republic charges fully funded campaigns a 6% fee and an additional payment processing fee of 2% when funds are distributed. The funding fee is comparable to other equity crowdfunding sites. However, the payment processing fee is slightly lower. Crudefunders is an equity crowdfunding site for the oil and gas industry. It offers businesses funding through multiple stages of the energy business. Projects are available to accredited investors during the drilling and testing phase, and the general public during the completion phase, potentially making it more difficult to fund the first two stages. Unfortunately, we were unable to get information on how much money has been raised on Crudefunders. Crudefunders is best for companies in the oil and gas drilling and production business that are willing to give up equity and share the risk and profits of its business with investors. You’ll be required to go through an extensive vetting process that can be difficult to get approved for. However, there is a dedicated community of investors available for projects on the site. The oil business produces unique projects that each need to be evaluated individually. For this reason, the exact fees you will be charged by Crudefunders are determined after a project is submitted. MedStartr takes a rewards crowdfunding approach to health care that has resulted in more than $10 million raised for health care innovators around the world. With MedStartr you can choose to keep what you raise or an all-or-nothing structure for a lower fee. All health care companies are eligible worldwide, and partnerships with health care companies are common. MedStartr is best for health care companies and startups that need to raise funds to launch a business or are looking to sell an existing product and can offer rewards. Additionally, companies that need exposure and want to partner with major names in the health care industry can get support, mentorship and, ultimately, partnerships through MedStartr. MedStartr charges a third party transaction fee of approximately 4% on all fundraising campaigns. All or nothing campaigns that meet their goals get charged an additional 6% and keep what you earn campaigns get charged 9% of the total raised. This is slightly higher than other rewards crowdfunding sites and can get costlier when rewards are included. FlashFunders offers equity crowdfunding for businesses of any size and in most sectors. It handles paperwork, compliance, and filing on your behalf, not only when funds are raised but on an ongoing basis as well. This allows you to focus on crowdfunding the money you need for your business. We were unable to determine how much money has been raised on FlashFunders by businesses. FlashFunders is best for large for-profit businesses with demonstrated growth needing to raise up to $50 million or more from non-accredited and accredited investors alike and is often considered an alternative to venture capital. You can set both a target and maximum offering for your company, allowing you to meet the target and receive funds while still keeping the campaign running for additional funding. FlashFunders charges fully funded campaigns a fee of 5%, and an additional third-party payment processing fee of 1% to 4% depending on where funds are transferred. You can also pay $500 per year to have FlashFunders handle the additional paperwork that needs to be filed with the IRS after fundraising. Its campaign fee is lower than some other equity crowdfunding sites. However, filing paperwork is typically offered for free by competitors. 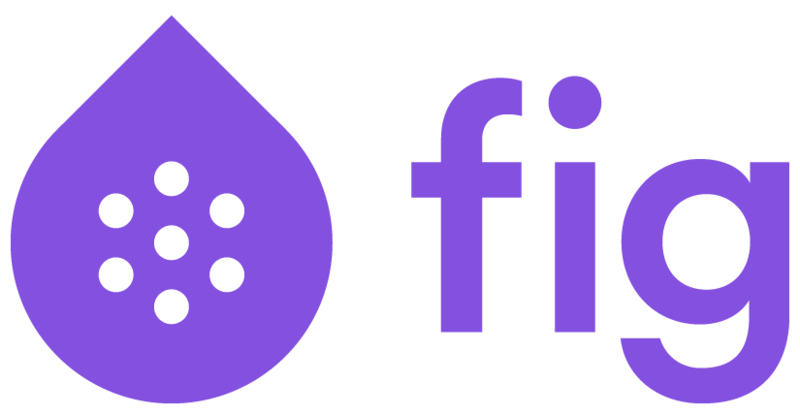 Fig is a hybrid rewards and equity crowdfunding site for video game developers. Its community enables backers to either pledge money for rewards and perks or invest money and share in the success of a game when it’s published. Fig Game Shares pay a dividend to the owners from the game’s sales, and it also handles all your publishing needs. Unfortunately, however, it does not disclose how much money has been raised on its site. Fig is best for video game developers that are interested in building a community while funding the development of their next game. It may not have the same reach as other crowdfunding sites, but its audience is valuable for both feedback and investment. The community is active, and many games that get funded go on to be successful. Fig does not disclose pricing because every project is treated as a unique financing offering. This means that although you control the rewards terms, you will need to have your project reviewed to determine what fee will be charged and how much revenue will be shared with backers. VentureHealth is an equity crowdfunding site for startups in the health care industry that’s helped companies raise more than $386 million but is currently invite only. It offers individual accredited investors an opportunity to invest in brand new companies that are innovating in health care. You will need to go through a lengthy process to get approved. However, there are 100s of projects active, and its reach is global. VentureHealth is best for startups and early-stage companies that want to raise funding in the health care sector and are willing to give up some equity. It covers most health care markets including biotechnology, diagnostics, digital health, services, medical devices, and pharmaceuticals. Venture Health does not charge startups any fees, except for any transfer fees you might incur with your bank which are typically 3%. This makes it one of the lowest cost equity crowdfunding platforms available. Instead, it charges investors 20% of the net profit that they earn on their investments. Experiment is a platform for crowdfunding scientific research, that’s funded more than 800 projects, with more than 40,000 backers and $8 million pledged. Rather than offering rewards or equity, it requires that the funding of the research is made accessible to the backers and anyone can start an experiment. Experiment is a great crowdfunding site for entrepreneurs that hope to build a business based on their scientific research. Research from all fields is allowed, so if your business idea relies on some research that you have yet to do, Experiment is a great way to fund the research. You’ll have to publish the results, but the information and knowledge gained from your research will put your future startup on a path to success. Experiment charges fully funded campaigns 8% and an additional third-party payment processing fees of 3% to 5%. This is a little more than the average rewards crowdfunding site charges. However, when you factor in that the reward you are offering is sharing your research rather than shipping physical goods, the costs work out much better. Women You Should Fund is a unique rewards crowdfunding site by women for women. Addressing the fact that women tend to be underrepresented in crowdfunding, Women You Should Fund has built a community of investors that are committed to the platform rather than a single project, with more than $300,000 raised. Although the projects tend to have lower dollar amounts averaging $28,000 it is much easier to get noticed. Women You Should Fund is best for female entrepreneurs of any age that are looking to fund everything from business to creative projects like films, books, and art. The platform features a range of projects from films and Broadway shows to fitness tech. Projects are reviewed before approval and must reach funding goals before funds are disbursed. Women You Should Fund charges fully funded campaigns a fee of 5% and an additional third-party payment processing fee of 3% plus $0.30 per donation. This fee is slightly lower than the average rewards crowdfunding site. Localstake offers small businesses the opportunity to raise money through debt, equity, or revenue share agreements with investors, with more than $9.6 million raised. All the debt options offered are convertible to equity at the discretion of the investor. Pricing starts at $500 per month, it offers pilot campaigns, insights, great tools for managing the campaign, and will handle all of your paperwork for you. Localstake is best for experienced small business owners who want extensive access to tools and options in who it fundraises from and what it offers. If you’re willing to spend a little more and commit to a monthly subscription as well as a flat fee, you can raise up to $5 million with Localstake. Localstake provides customized pricing for individual campaigns. However, most users can get started with a monthly subscription of $500/month, which is more than most subscription crowdfunding sites charge. PieShell brings rewards crowdfunding to food and beverage companies all across the United States. Projects range from scaling up farms to supporting local food co-ops, but we were unable to get information on how much has been raised on the platform. Before a campaign is launched, PieShell requires that you have your social media, video, and reward campaign prepared – resulting in good projects and investors dedicated to the site. PieShell is best for entrepreneurs and businesses in the food and beverage industry that hope to bring new ideas to life or scale existing ones. However, because funding is based on rewards, your product will need to be shippable to your donors. The company was started because so many food projects would fail on traditional crowdfunding sites, but by fostering a community of foodies, PieShell has changed that. PieShell charges a fully funded campaign fee of 6% and a 3% third-party payment processing fee, which is similar to other rewards crowdfunding sites. It is also the only crowdfunding side on our list that donates 1% of the fee it collects to charity. FunderHut is a rewards fundraising platform with an emphasis on communities. Although it has a smaller audience than similar crowdfunding sites, it offers partially funded campaigns and an additional consulting service that you can utilize to perfect your campaign. Unfortunately, we were unable to reach FunderHut for comment on how much has been raised on its site. FunderHut is best for small business owners and entrepreneurs that can get the support of their community to fund their campaign by offering local rewards. Typically, this requires that your business either be very important to the members of your community or you offer them a reward, like a free product or service. With FunderHut if your campaign is successful, you will need to pay a 3% payment processing fee charged by a third party on all of their crowdfunding campaigns that withdraw funds. Successful all or nothing campaigns that hit their goal are charged 5% and keep what you raise projects are charged 7.5% on any amount that’s raised. This is comparable to other rewards crowdfunding sites, but the option of a partially funded campaign stands out. Every crowdfunding site offers small businesses something different. You’ll need to decide if you are willing to give up equity, take on debt, or provide your backers with rewards. You can select a bigger site, that will provide more exposure with additional competition, or a more niche crowdfunding site with dedicated followers. Regardless there’s always a risk you won’t get funded. When it comes to equity crowdfunding I like the info VC-List.com puts out regarding rules, regulations and tax laws. Many small business owners don’t realize crowdfunding funds are taxed. A clear and well written article on the subject. Thank you. Will be referring back to your work whilst I decide on which route best fits my biz. plan. A quick question: Do you know if anyone has launched on more than one platform simultaneously? Offhand, no. Generally, crowdfunders stick with one platform per program for marketing and tracking simplicity. I hope this helps, good luck! I am looking for funders to expand my business, I want to start working but m struggling with Property please help, my main focus on the business is on Catering and decorations, please I want my company to give back to the community and make a better life for All. The companies that we cover have great getting-started resources. Whatever plan you put together, most successful crowdfunding campaigns offer funding partners a reward, like an item related to what you’re trying to kick-start. For catering, you might put together a book on entertaining on a budget. You can learn more about the crowdfunding process here, and how to handle any rewards that you might ship as thank-you’s for being part of the startup. Hope this helps, good luck. How do I contact you for business loan? We don’t providing funding ourselves, but simply write articles for small businesses. Here are some additional articles that may help you figure out how best to finance your business. Best wishes! iSignFund is a unique CrowdFunding platform for all your needs. You can raise a petition and better yet fund it to support the expenses. Invite Organizations to show their support with social and reporting tools. Create Personal, Animal support, Medical bills, Business crowd funding with and without rewards. It appears you have good insight on a few vendors. While we are reluctant to link to a site without checking it out ourselves first, we’ll leave your comment up for others to investigate this vendor themselves. We’d also love to get your insight on vendor reviews. Would you take a look and offer reviews of any vendors you’re experienced with?